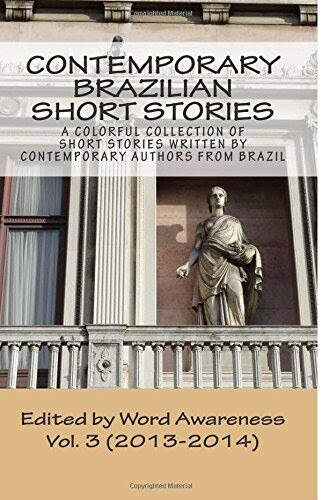 Click here to read the original short story in Portuguese! Peter and John ditched school to go fishing at the riverbank. While they were walking toward their usual spot, they noticed a mulberry bush with branches hanging over the river. Actually, not all branches were growing in that direction, so the two boys picked delicious mulberries from the branches they could reach while standing on firm ground. They were delicious, but too small. There was a very big juicy mulberry hanging from one of the branches right above the water. This detail didn't scare John, who climbed up the small bush and crawled through the shaky branches to get to the fruit he desired so much. His fingers were almost touching it when the branch suddenly broke in half and he fell in the river. Peter couldn't swim either, but he was quick on his feet and grabbed the fishing pole to try to rescue his friend. John's fingers soon were grasping the end of the pole. All Peter had to do now was pull him out of the water. Peter tried hard, but the current was too strong and the riverbank was too slippery. The inevitable happened. He slipped on the mud and fell into the river as well. Their screams were baffled by the water. There was nobody around to help them. Oblivious to the surroundings, the succulent mulberry was still hanging from the broken branch. It was left untouched, and reachable only to the hands of the sun above it. Wilson Gorj was born in Aparecida, São Paulo, in 1977. He published his first book Sem contos longos [No long stories] in 2007 and participated in the collection Contos de algibeira [Pocket Short Stories], both containing micro-narratives. He has also contributed to several other collections and literary supplements. His second book, Prometo ser breve [I Promisse I'll be Brief], was published in 2010. His work can be found spread around the internet as well, especially on his blog O Muro & Outras Páginas [The Wall and Other Pages]. He is a columnist for two newspapers, O Lince and Comunicação Regional, and works as an editor at the Penalux publishing house.